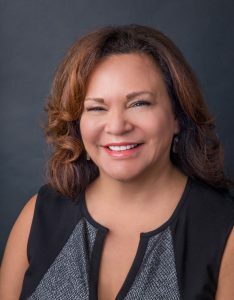 Lillian Wills, General Manager/CFO, graduated in 1981 from San Diego State University with a BS degree in Fine Arts with an emphasis in a Technical Illustration. After designing brochures for a CPA/developer, she focused her studies on accounting and finance. 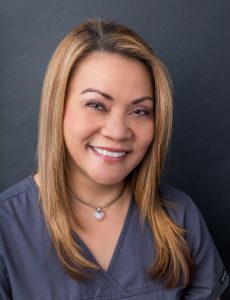 After years of experience, she earned her accounting degree in 1986 from National University and maintained her role as CFO for 15 years until arriving at Cosmetic Laser Dermatology in 2006. Since taking over her role as General Manager and CFO in the last year, she has reworked the financial and operational structure of the organization. She resides in Escondido and is involved with several non-profit organizations. After graduating from the University of Barcelona, she moved to London, where she earned her master’s degree with distinction at the University of London. After working in several clinical and hospital settings, she focused her career on management. As a charge nurse, she directed nursing activities for more than 10 years in different units and departments: pre and post-surgery recovery units, OB/GYN, pediatrics, family medicine, and more. Freia is also a 5S certified trainer by HONSHA on business organization. 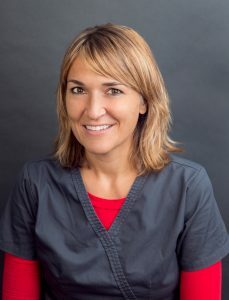 She joined the Cosmetic Laser Dermatology team last April as a practice manager. Freia is fluent in Spanish, Catalan, and English. Outside of the clinic, she enjoys the performing arts, music and running. Lin Fleischman has been an R.N. / B.S.N /Operating Room Manager for 19 years at Cosmetic Laser Dermatology/ Cosmetic & Vein Surgical Center of La Jolla. She is also responsible for keeping and maintaining the regulatory requirements of IMQ accreditation, QA, and OSHA. Before she joined the practice, she had experience in Emergency Room/ Urgent Care settings as well as General Internal Medicine. Lin loves to spend her free time with her husband of 25 years and her adorable dog Chester. She loves to travel, shop, and eat out. Some of her hobbies include pilates, yoga, spinning, cooking, and decorating her home. Next, meet our medical assistants.